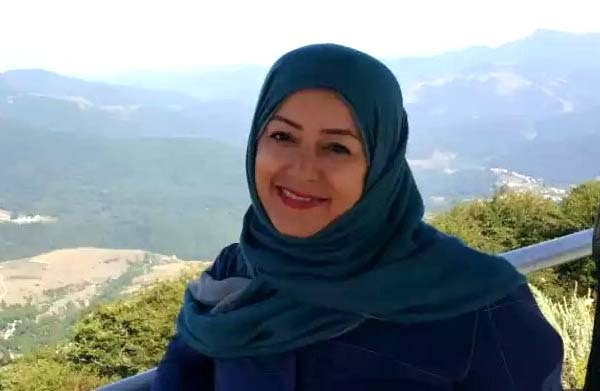 Leila Haghighatjou, the sister of Fatemeh Haghighatjou, an outspoken critic of the Islamic Republic, was arrested by the Revolutionary Guards to intimidate the former member of Parliament, an informed source told the Campaign for Human Rights in Iran. "The reality is that they want to put Fatemeh's sister, Leila, under pressure to force Fatemeh to stop her activities as a civil rights advocate living outside of Iran," said the source. Leila Haghighatjou has been detained since December 19, 2016 when she was arrested at her home in Tehran. Her interrogators asked her several questions about her sister, according to the source, including one about a workshop on women's empowerment that Fatemeh Haghighatjou had organized for Iranian women in Georgia in October 2016. "Leila didn't attend the workshop and knew nothing about it, even though organizing or attending a workshop is not a crime," added the source. "What is a crime is arresting someone for the activities of another person." "Leila's detention is completely unlawful," said the source. "Her family wants her unconditional freedom. The authorities have not even allowed her to be released on bail." "Leila should go free because she has done nothing against the law," continued the source. "She's an artist and works as one for a living. She has a 10-year-old son waiting for her at home." A former reformist MP in Iran's sixth parliament (2000-04), Fatemeh Haghighatjou moved to the US in 2005. Western TV news channels have featured her views on Iran, and she currently heads the Nonviolent Initiative for Democracy, based in Boston, Massachusetts. The Islamic Revolutionary Guards Corps (IRGC) has long harassed the relatives of Iranian dissidents living abroad in an effort to silence critical media coverage of the Islamic Republic. Leila Haghighatjou is a PhD student in art history and works as an appraiser at Iran's Cultural Heritage Foundation. She previously worked at the Golestan Palace Museum in Tehran as an artwork restorer. The source told the Campaign that Leila Haghighatjou's mother visited her daughter in Evin Prison on February 12, 2017: "Leila told her mother that she has had heart problems and is now taking medications for it. She never had problems with her heart before going to prison." "She also said her eyes are hurting," added the source. "Her eyes were weak before, but this pain is something new."